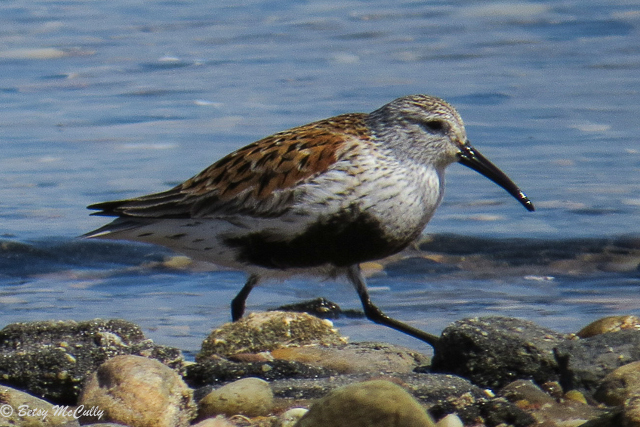 Dunlin (Calidris alpina). Shorelines. Breeding plumage. Migrant.